Silicon Carbide - 產品介紹 - GRACE HAOZAN APPLIED MATERIAL CO.,LTD. Silicon Carbide is a synthetic electric furnace products, crystalline silicon carbide exits in a low temperature form (cubic) and high temperature form (hexagonal). The basic materials for production of silicon carbide are high purity quartz sand, petroleum coke thoroughly mixed and charged into furnace. 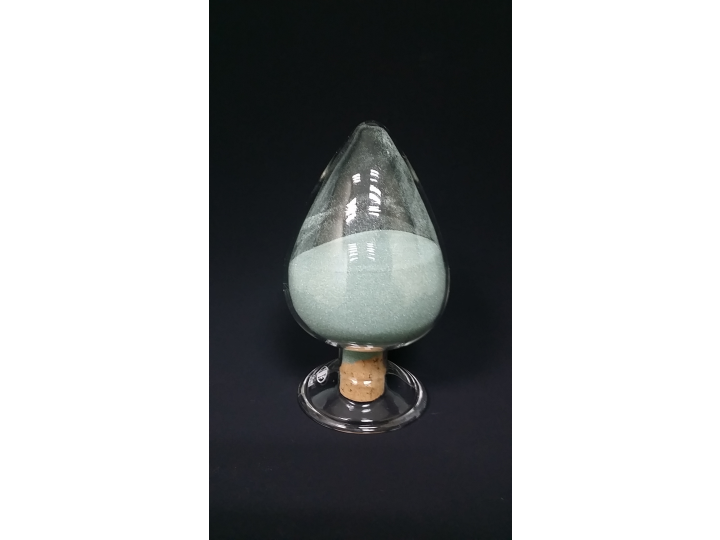 Crystallization of SiC occurs at a temperature between 1800 ℃ - 2500 ℃. At the outside of SiC cylinder layer of less crystallized SiC has been formed. This materials is most commonly used for refractory, metallurgically and other application. The remainder of the SiC cylinder layer is well crystallized SiC suitable for wire sawing, lapping, abrasive and other application. The crystallized SiC from the furnace are crushed, milled, and classified different marco and microgrits particle size distribution and chemical purity to satisfy the needs of users. Particle sizes for wire sawing, lapping are in several gradings according to established industrial and customer’s specification. Silicon Carbide is extreme toughness, high purity, high density, and high hardness next diamond, CBN and B4C. it exhibits superior performance in precision wire sawing, lapping of hard / brittle materials. Semiconductor , photovoltaic , quartz , compound semiconductors, synthetic crystals.